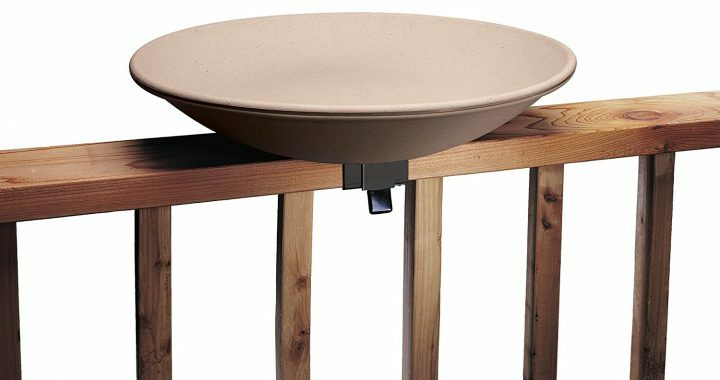 The API 650 Heated Bird Bath comes with a railing mount. It is constructed of plastic with a built-in thermostat under the surface to prevent water from freezing in cold weather. The 120-volt heater operates at 150 watts and has a power cord that stores underneath the basin when not used in hotter temperatures. The clamp-on mounting bracket features a hinge that allows users to dump the basin over to clean out stagnant water. There is a one year warranty to cover defects and materials in workmanship. Why Do Birds Need Water? 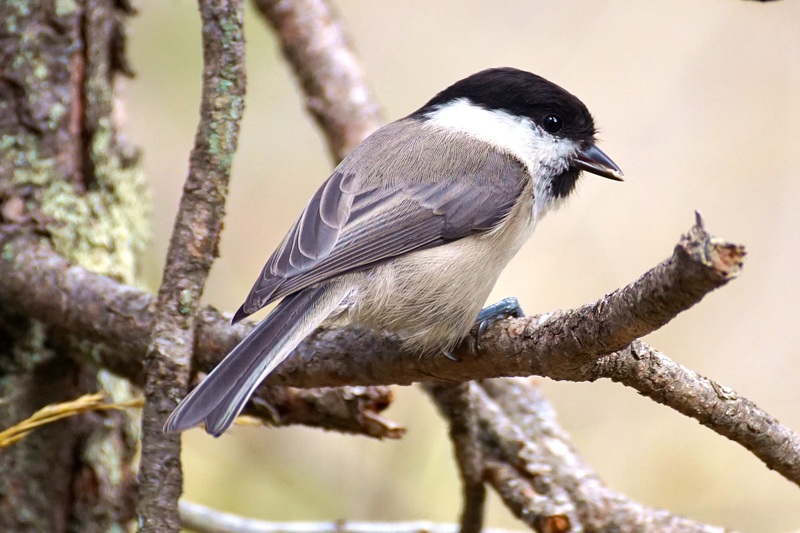 Birds need water for drinking as they lose water through their breathing and through their droppings. So consequently they need to replenish it through their diet (fruits and insects) and by drinking water. Birds also need water for bathing. The reason is because they need to keep their feathers in good condition for survival. Water helps to break up any dirt that their feathers have accumulated and thus makes it easier for preening. This is not just for the summer months either. Winter is a critical time too. Birds need water all year long. In winter time especially the seed eaters such as cardinals, will have a drier diet and need water to help wash down the food. So having a water supply for them is crucial for their health. Yes they may be able to find water via a puddle or a pond if it is available for them, but if you want them to keep coming back to your backyard as I do, you will provide the birds with a steady water supply. I like this particular bird bath because number one it was easy to mount on our deck and all we had to do was get an outdoor cord to plug it in for the winter time. The water never freezes even when the temperature is at zero. All you have to do is make sure that you keep the bowl clean and replenish water as it goes down. If you forget to put water in, it will not hurt the bowl. At least it hasn’t for us. We overlooked that the water level was too low a few times but it didn’t seem to affect anything. In fact we have had this birdbath for 5+ years now and it is still working perfectly and looks great! We have used other heated bird baths and even used a birdbath de-icer but they never compared to the API 650 Heated Bird Bath Bowl. The other ones always seemed to ice up or were harder to clean and the de-icer just wasn’t that good at keeping the ice away. Plus none of them lasted that long because they were made cheaply. The other reason that I like the heated bird bath so much is because I just love watching the birds come in and take a bath. In the dead of winter especially, because it can be so dreary outside but then you see a cardinal, a robin, a bluejay, or whatever the bird is splashing around in the bird bath, and it just makes you smile and appreciate the day. I highly recommend the API 650 Heated Bird Bath for your backyard. 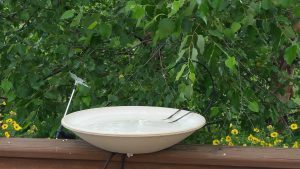 It is not only for the winter time to keep the water warm for the birds, but is a year round birdbath. It is made of durable plastic and has a built-in thermostat to keep ice from building in the bowl. The clamp on mounting bracket makes it easy to attach to your deck railing and it has a power cord that can be stored underneath the basin when not in use during the summer months. Cleaning is easy as you can take a small brush to clean out the bowl and there is a hinge where you can dump the stagnant water out easily. All you have to do is make sure there is water in the bowl. You will love this heated birdbath all through the year because birds will use it continuously for drinking and for cleaning their feathers. Just watching them fly in and splashing around is so entertaining. Plus more than one bird can be present in the bath so the more the merrier! If you have any questions or comments about this review of the API 650 Heated Bird Bath please make your comments below. I would love to hear from you! Posted in In The Garden, Landscaping For Birds.